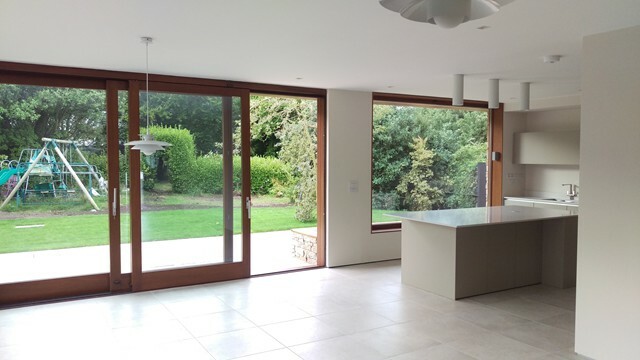 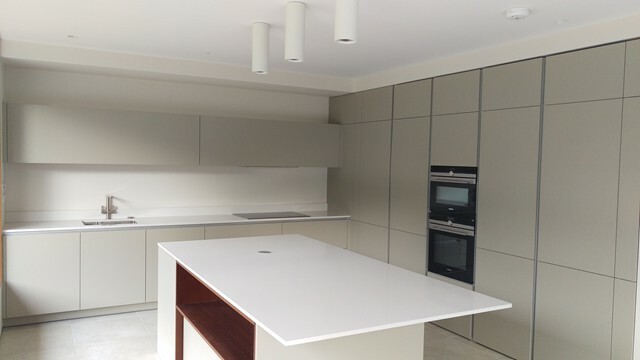 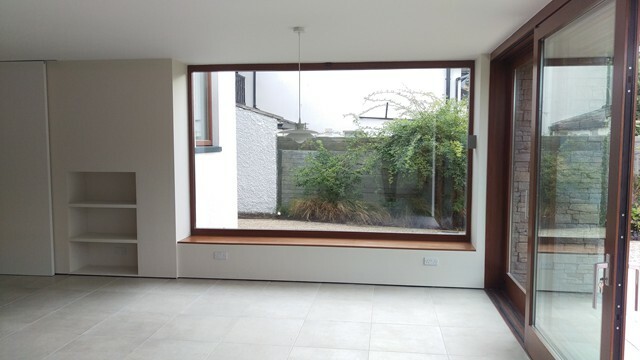 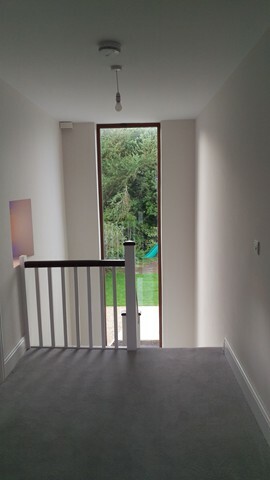 This was a part single part two storey extension to a 1930’s semi-detached property. 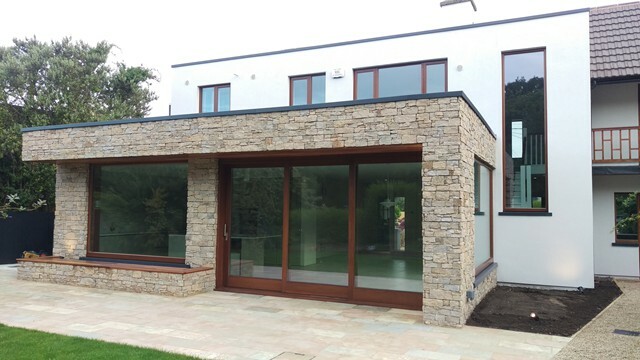 The house was externally insulated and finished with acrylic render and Granite Z Stone Cladding to the front and rear of the house. 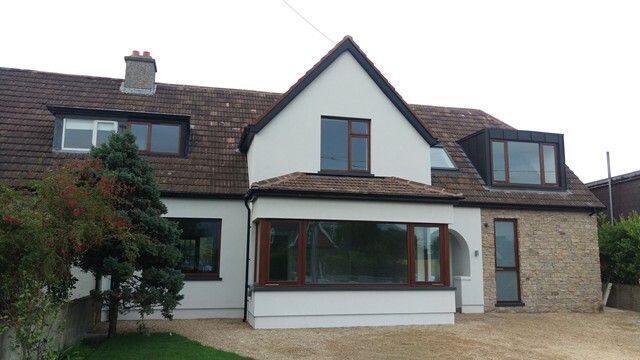 The roof was finished in GRP with Powder coated Aluminium Cappings, and the addition of a Black Zinc Dormer to the front of the Property. 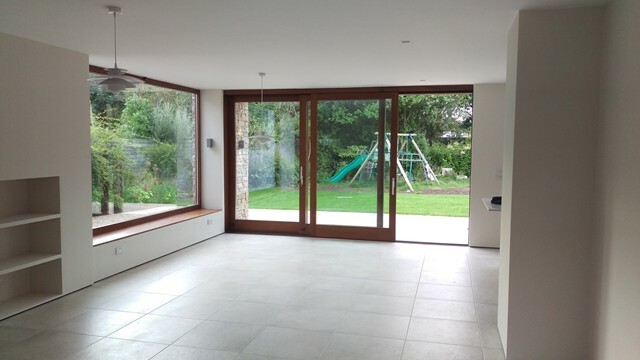 Underfloor heating was provided to the ground floor of the property along with a rainwater harvesting system. 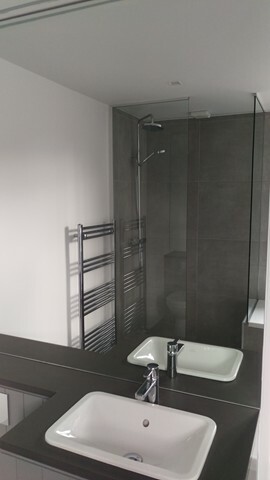 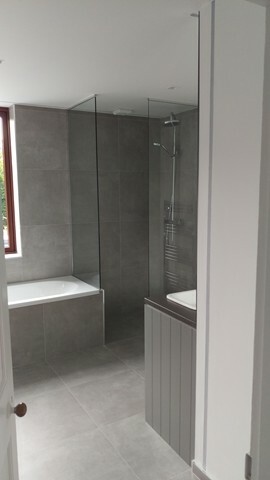 Wetroom trays were installed in the Bathrooms along with floor to ceiling shower screens, finished with custom made vanity units with stone vanity tops and full size mirrors. 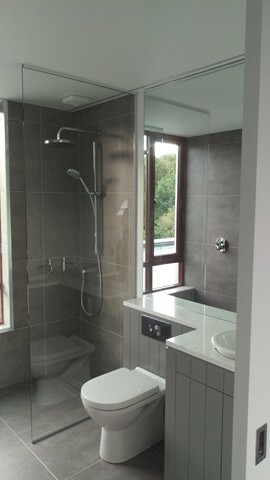 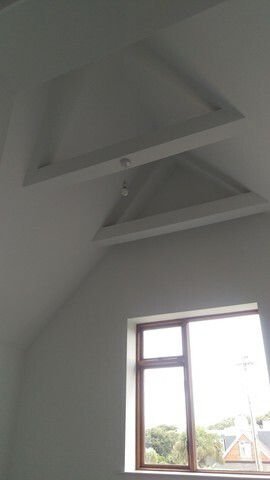 LED strip lights to the bathrooms were finished flush to the walls and the ceilings. 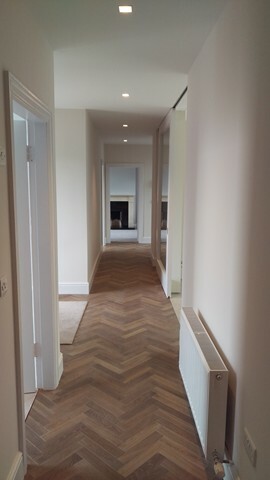 Parquet floors were fitted part of the downstairs, keeping the original doors and architraves from the original house. 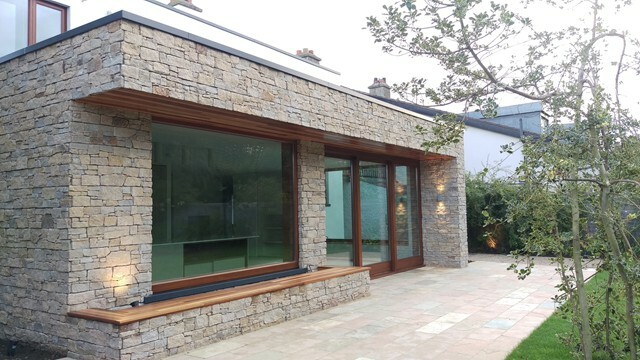 Exterior landscaping was completed with limestone paving, ballylusk stone and rollout lawn along with an outdoor shower.